At the beginning of the month, London fell ill! So many people caught a nasty bug kicking off the flu season. It occurred right when the nights became cold, the days became shorter and we were exposed to the night air. Lua woke one morning with a barking cough and saying that it was hard to breathe so we sat in the bathroom with hot water running in the shower creating steam which helped subside her coughing. She was able to calm down and her breathing went back to normal. This kicked off a two week bought of illness that affected each member of our family. And just weeks before our big trip home to The States. I was so sick of being sick and sick of Lua being sick, so I looked for some help to boost our immune system. We drank loads of liquids, got plenty of rest and had homemade chicken soup coming out of our ears! Then we started taking vitamin C, cod liver oil, Manuka honey, and Elderberry syrup. After talking to a friend in Santa Fe I was inspired to finally order that homeopathic kit that I had been meaning to get for years. 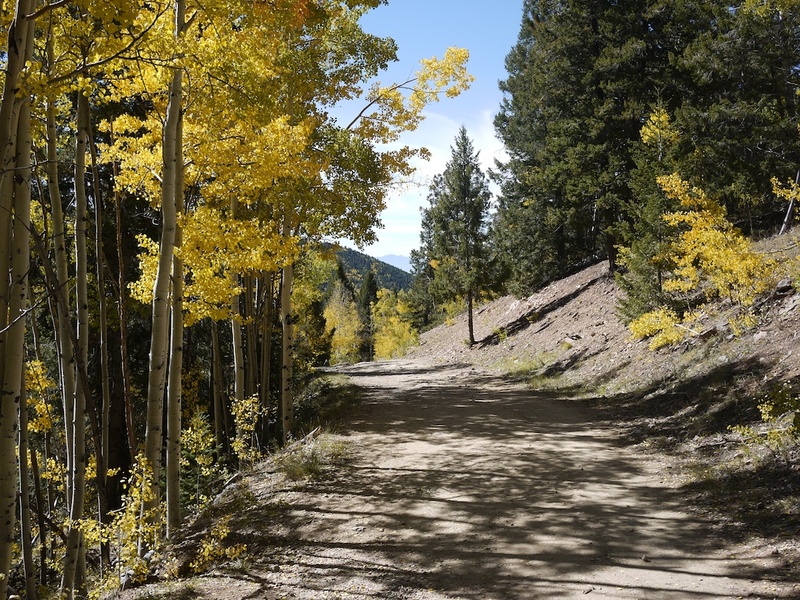 This was working swell and after spending $75 at Whole Foods on these healthful remedies I was confident that the coast was clear and that we would be able to make it to Minnesota in full health. I mean, this was a serious regimen of wellness. Well, to my utter surprise just 24 hours before boarding a plane for the 9 hour plane ride home I was hit with a violent 24 hour flu bug! What? Universe, seriously? I have not been that ill in years, I could not leave the bed. Gabe worked all day getting all three of us packed and ready for the trip, although I was unsure if we’d still be leaving the next day. After a day in bed and a decent nights sleep I woke on Monday feeling much better, thank goodness, and we were able to resume the travel plans. 1. 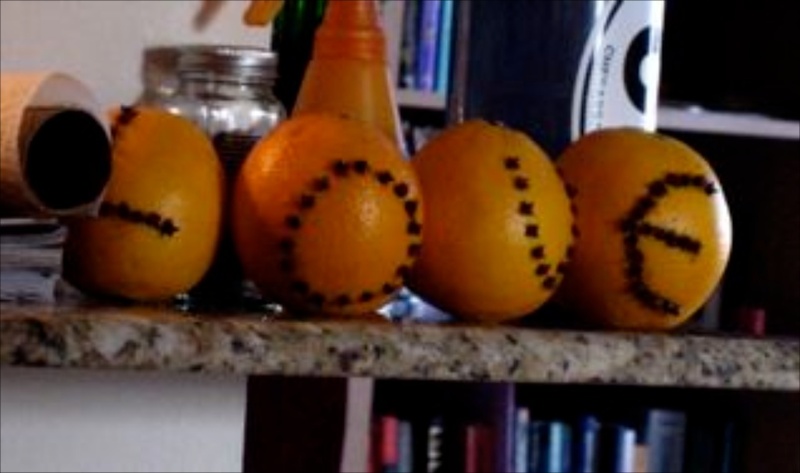 Vitamin C is water-soluble. Many of the Emeren-Cy or other industrially processes vitamin C products that we buy and consume are eliminated just hours after we use them. The best way to get your vitamin C is through fresh fruits and vegetables such as: grapefruit, guava, kiwi, mango, strawberries and papayas, and broccoli, Brussels sprouts, green peppers, chili peppers, kale and swiss chard. For an extra boost during cold season or pre-travel I have been taking vitamin-C capsules that are naturally derived from organic fruits and vegetables allowing the body high levels of absorption and remains in the blood for up to 12 hours. 2. Cod liver oil contains high levels of DHA, EPA, vitamin A and vitamin D which our bodies need for a healthy digestive tract, a healthy cardiovascular system, healthy joints, a healthy nervous system, healthy skin, and healthy bones. Due to mercury levels in fish, be mindful of which brand you purchase. I use Green Pastures. 3. Mankua Honey comes from the nectar of the manuka or tea tree grown throughout New Zealand and in southeastern Australia. It has long been thought of as a healing honey in these cultures and has just approved USFDA approval in 2007. For thousands of years honey has been a sacred food both for its delicious taste and for medicinal purposes. When shopping for honey intended for health benefits be sure that it is RAW, this means that heat was not used to process the honey, keeping all of its natural composition in tact. When honey is heated it looses all of the wonderful antibacterial and antiviral benefits. So what is this Manuka Honey? While most raw honey contains special active ingredients with health benefits, Manuka Honey has a special Unique Manuka Factor (UMF) active ingredient that remains stable even after exposure to heat and light. Each container of Manuka honey will have a UMF rating classifying how “active” the honey is and it is considered that any rating of 10 or high is considered “active.” So if you want to reap the health benefits of this food, look for a 10 or above UMF rating. We have been taking 1 teaspoon full 2 to 3 times a day, it is absolutely the most incredible food I have ever tasted. It is very thick, sticky and dark, Lua calls it the “hard” honey it is so thick. Whether or not you believe in the health benefits of this honey, believe me your mental health will improve with just the experience of eating this divine food. 4. Elderberries have been used for centuries as a folk remedy in North America, Europe, Western Asia, and North Africa. The elderberry contains flavonoids which help boost the immune system, help to improve cold, coughs, flu, bacterial and viral infections, and contain antioxidants that help protect cells against damage. This is a great option for upper respiratory infections. Elderberry syrup can be purchased or if you have access to elderberries you can make your own! 5. Homeopathic kits are wonderful resources to have year round to help support health and well-being. We have been using it to help reduce Lua’s cough, my nausea and to help with jet lag. It is small and compact making it very easy to travel. Good luck with your winter wellness, please let me know your tricks and helpful tips! The eve of Thanksgiving is my all time favorite day to grocery shop. It is clear that the holidays have begun as you wait for a parking spot and manage the busy aisles and check-out lines. Yes, there are moments of pure madness – but what a wonderful madness it is. I miss that day back home. And today is our day of giving Thanks for all that this amazing life has offered us. We are thankful for our family and friends both near and far, for the opportunity to be coming home very soon for a holiday visit, for our health and wellbeing, for the breath we receive every moment, for our connection to Spirit and Goddess that is alive inside of us and all around us, for all the living creatures on this planet, and for this life given to us to behold, cherish, and enjoy. On this day we remember to say, Thank You. As I am far from home, feeling a bit homesick on this special day, I remember the special foods we prepare create a ceremony. Our day of feasting is postponed a couple of weeks until we return to Minnesota, but we are remembering and giving many thanks on this day. 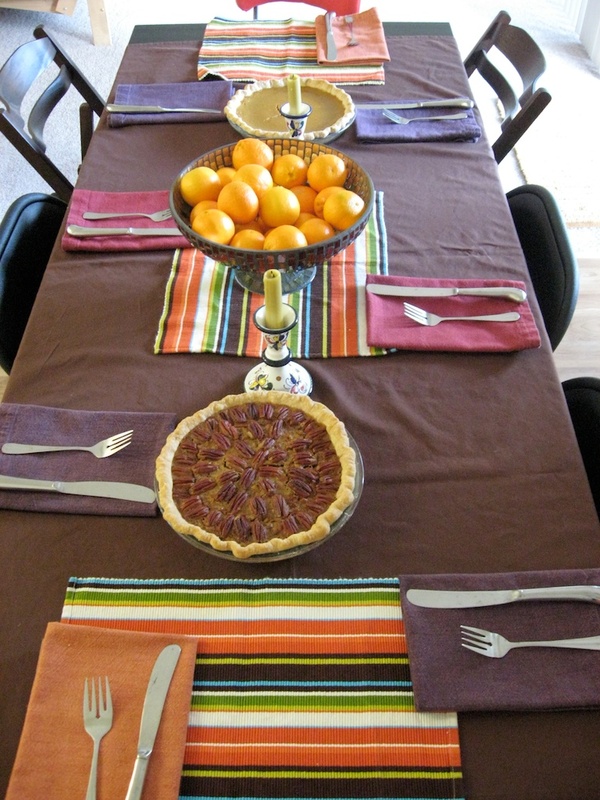 I remember my first attempt at preparing the Thanksgiving Dinner in 2007 while living in Santa Fe, New Mexico. We returned home to Minnesota only for Christmas, so we would be spending Thanksgiving with friends in Santa Fe. Seven of us gathered on that day, all contributing to the Holiday Table. 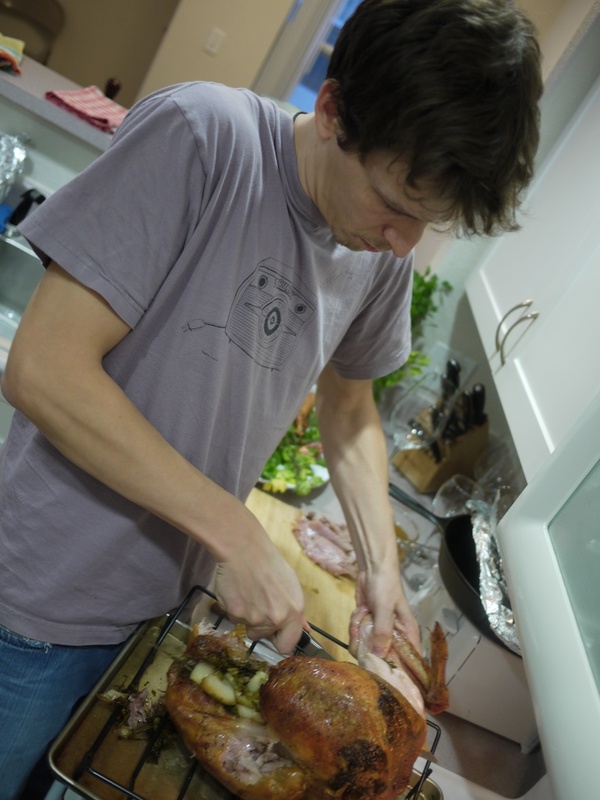 In the role of host, I made the turkey. After much research I determined to try the water and salt brine method of preparing the turkey wherein you mix gallons of water with the salt and herb mixture and pour into a large turkey bag with the turkey and refrigerate for a couple of days. I vividly remember while pouring in the final drops of water into the bag, wondering how on earth I was going to drain out all of this water without flooding our kitchen floor. It must have been intuition. On that Thanksgiving morning I woke at 5am to get all of the preparations for the meal started. The first job on the list was getting that 16 pound turkey out of that bag of salty, briny water. I started to open the bag while it was still on the counter, not in the sink and the inevitable happened. The next thing I remember I am shrieking and standing in raw turkey brining water and a bewildered Gabe shouting from the bedroom, “What happened? !” He jumped out of bed at the sound of a tidal wave hitting our kitchen. Yes, it is true, salt water everywhere. In all of the kitchen drawers and cupboards and the kitchen floor. So with all of the jobs I had on my to-do list that morning, cleaning every nook and cranny in my kitchen was suddenly at the top! It was a good thing I woke up at 5am. Together, Gabe and I cleaned up the mess, including every single utensil, pot and pan. It required great mental strength to not have a total and complete melt down. 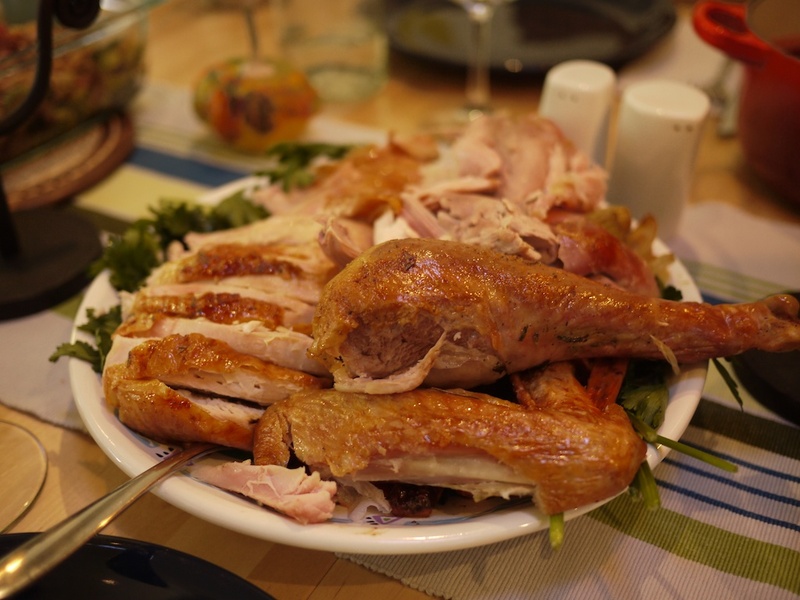 But you know what, to this day, that was the best turkey I have ever made. And now, I do a much easier, dry brining method for my turkey. May your day be blessed with family, friends, and joyous feasting. Eat your beets! 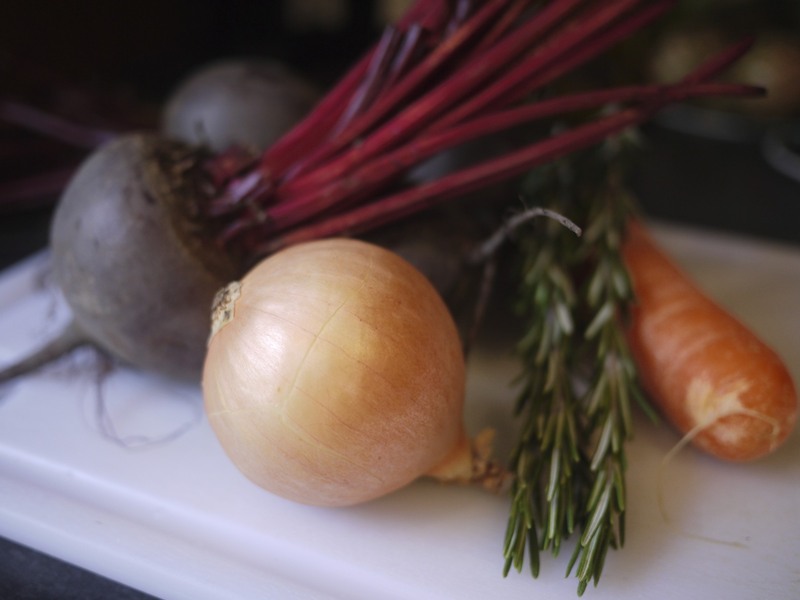 These wonderfully flavored root vegetables are beautiful and tasty and full of beneficial health properties. They contain potassium, magnesium, fiber, phosphorus, iron, vitamins A, B & C, beta-carotene, beta-cyanine, and folic acid just to name a few! And they help guard against cancer and heart disease. Our friend Charmanye made these little delights last summer served with goats cheese and a salad. Divine. Since I am not eating cheese, we ate them with avocados which was beautiful and satisfying. They were also yummy the next morning served with poached eggs! Mix all ingredients together. Stuff a 1/3 cup measuring cup with the mixture. Heat a skilled over medium-high heat, add 1 tablespoon of olive oil, then drop the formed mixture onto the hot pan. Continue with as many as your pan can hold, leaving room to flip. Cook for 3 minutes on one side, flip and cook another 3 minutes. Remove from heat and eat immediately. 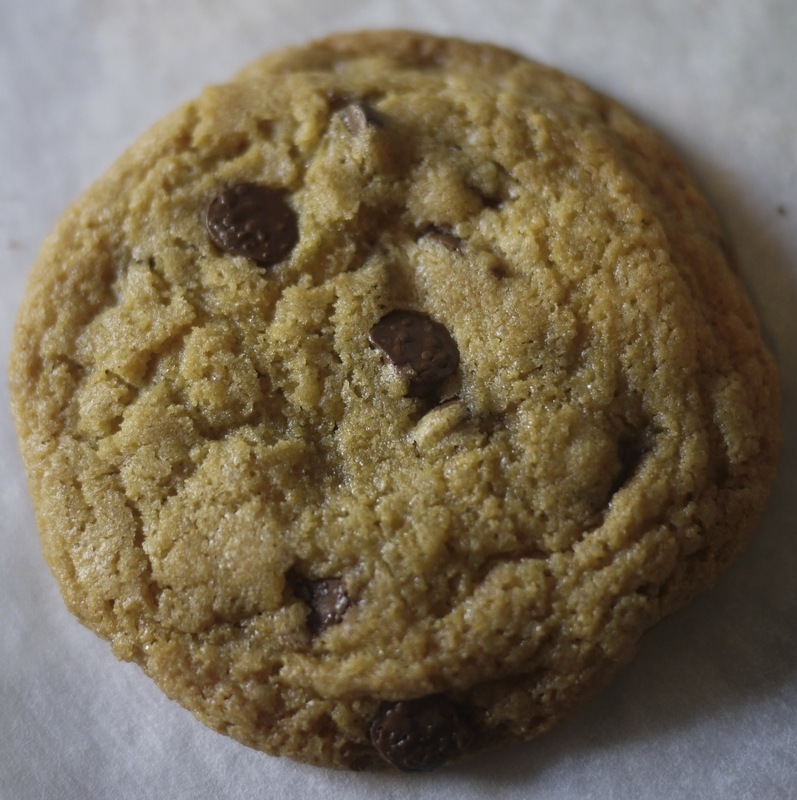 One of my first sweet cravings after eliminating gluten and dairy were chocolate chip cookies. I was thrilled when we found a gluten-free, dairy-free, egg-free and sugar free bakery at Broadway Market in Hackney in East London. This bakery stand offered brownies, cakes, muffins, Bakewell tarts, and chocolate chip cookies. 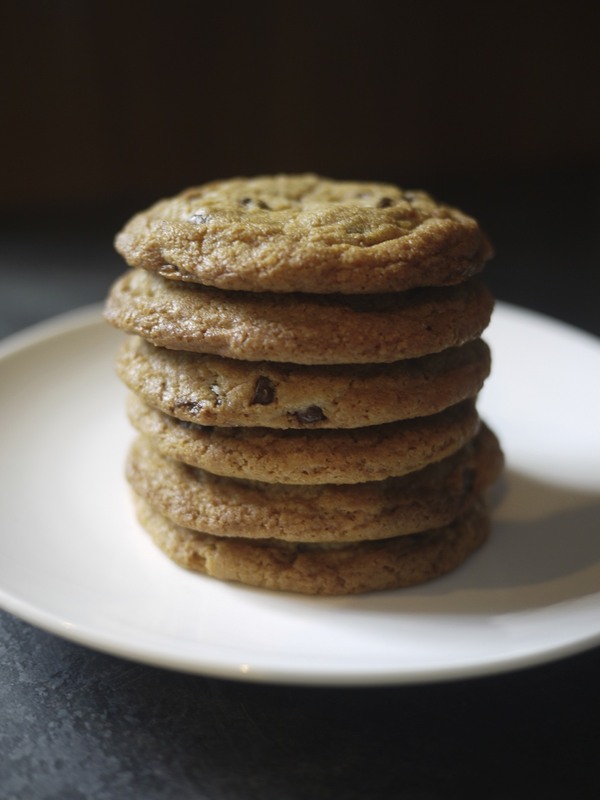 With only a couple of tweaks and discovering Bob’s Red Mill Gluten-Free Baking Flour these cookies, well, these cookies, rock! 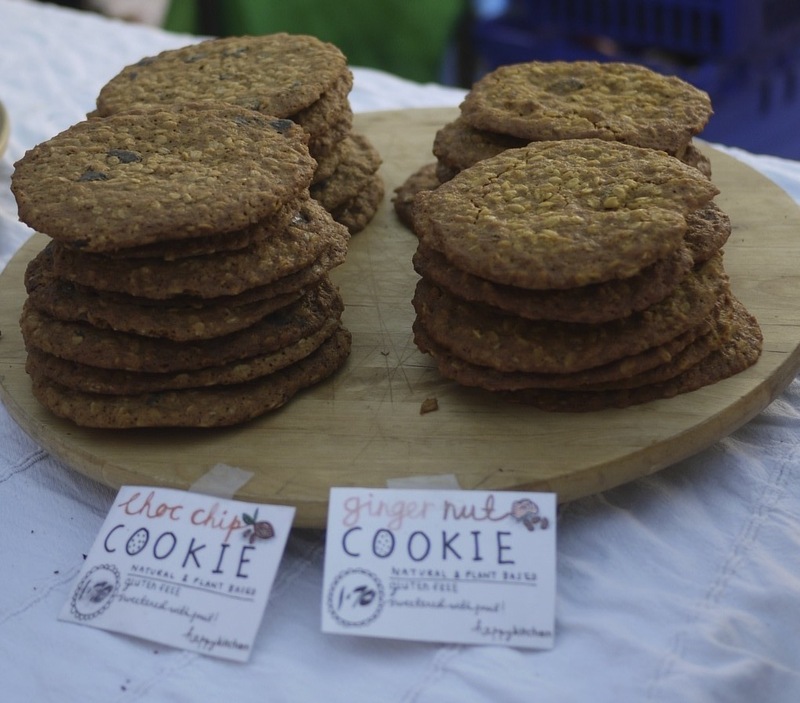 They are a delicious cookie and many would not know that they are gluten and dairy-free. I highly recommend you make them, tonight! Preheat oven to 350 degrees F. Line a baking sheet with parchment paper and set aside. Whisk all dry ingredients together, except the chocolate chips, and set aside. 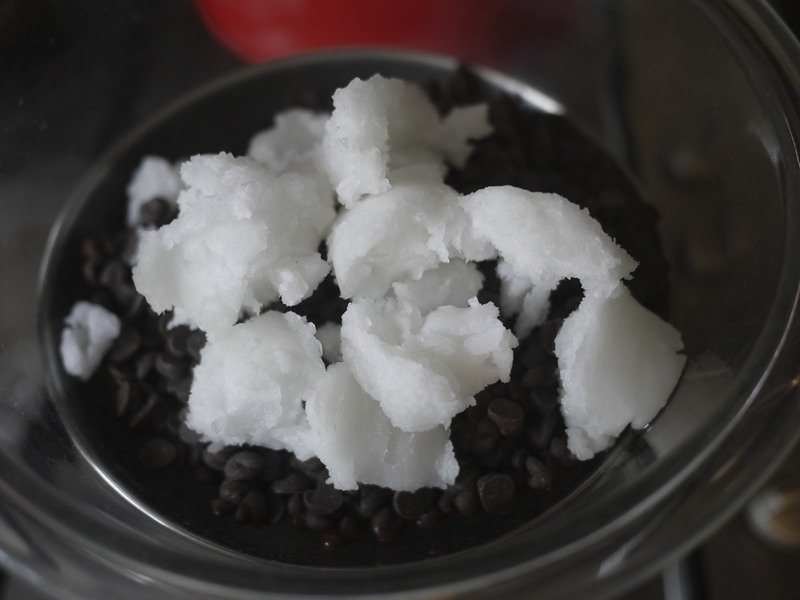 Using and electric mixer, mix coconut oil and granulated sugar until light and fluffy. Add brown sugar until light and fluffy again. Add each egg, one at a time, then vanilla, and mix well. Now in three batches, slowly add dry ingredients. Remove from mixer and using a wooden spoon mix in all chocolate chips. Cover and refrigerate for 15 minutes. Roll dough into 2 inch balls and space evenly on pan, taking care not to over crowd. Bake in the preheated oven for 10-12 minutes depending on your oven. Remove and let cool on pan for 2 minutes, then place on cooling rack and enjoy! 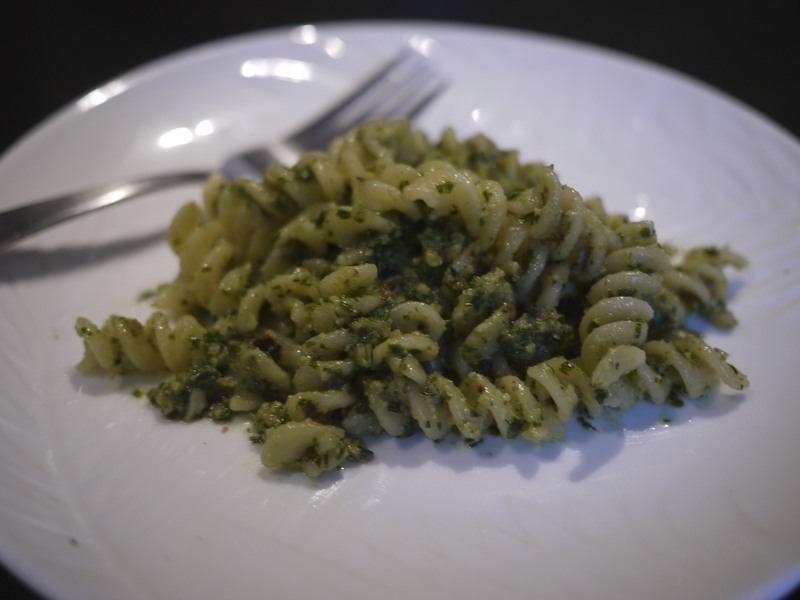 One of my favorite go-to recipes is Pesto Pasta. It take 20 minutes to make start to finish, Lua likes it, and the left over pesto is great to use all week long. 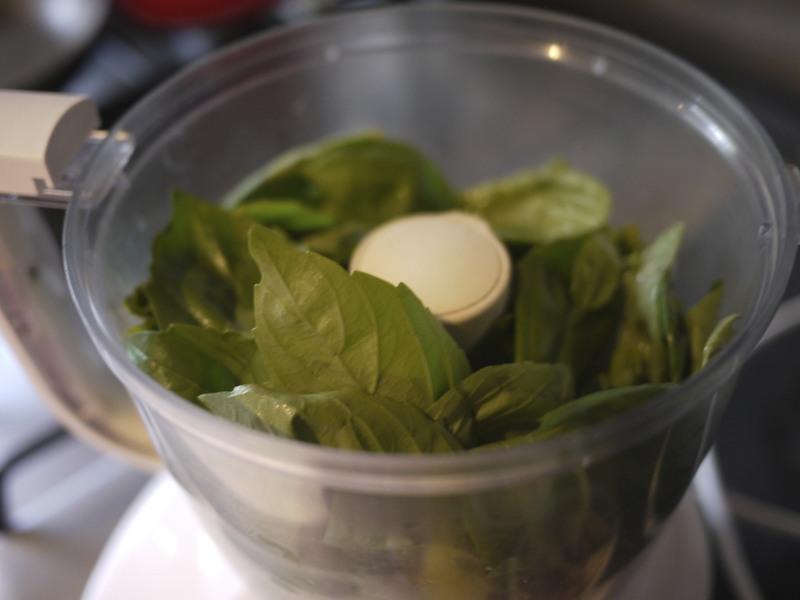 When searching online for a pesto recipe, I found there are so many versions in terms of the quantity of ingredients and which herbs or nuts to use. I can not eat pine nuts, which seems to be the traditional nut used to make pesto, however walnuts, pecans, almonds or a mixed blend of nuts work great. The left over pesto is great the next morning on eggs or as a snack on crackers. 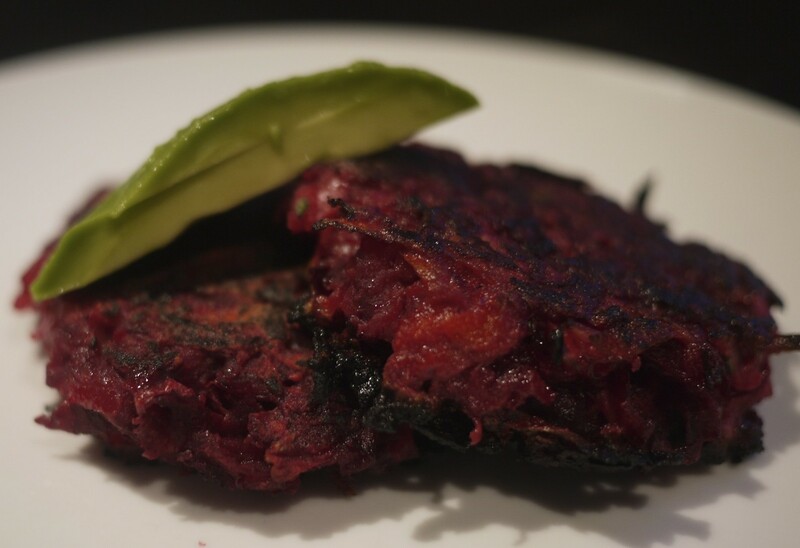 If you are in a pinch and are looking for a quick and easy dinner, this is your recipe! Toast nuts by placing in a pan over medium high heat for 2 minutes or until they become aromatic. Shake often to prevent burning. 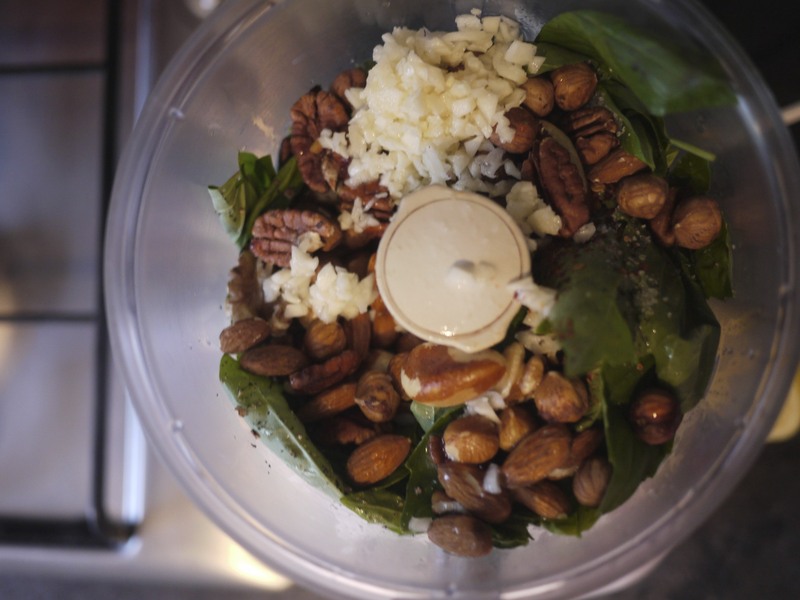 Place basil leaves in a food processor, pour warm toasted nuts on top then add remaining four ingredients. Pulse a couple of times, then while running, slowly add extra virgin olive oil. Pulse until at desired consistency. Add more oil if mixture is too dry and season with salt and pepper. Enjoy with pasta, chicken or fish. One of Lua’s favorite chocolatey treats are brownies. Before I was gluten and dairy-free I had been on a hunt for the perfect brownie. Now, when you bring up the topic of brownies we all have our own version of the perfect brownie. With or without frosting? Shall we add nuts? Caky, fudgy, or chewy? You all have to ask yourselves these questions, it may change by the day, but in general, my favorite type of brownies are the fudgy, not too sweet, and have that crispy top thing going on. 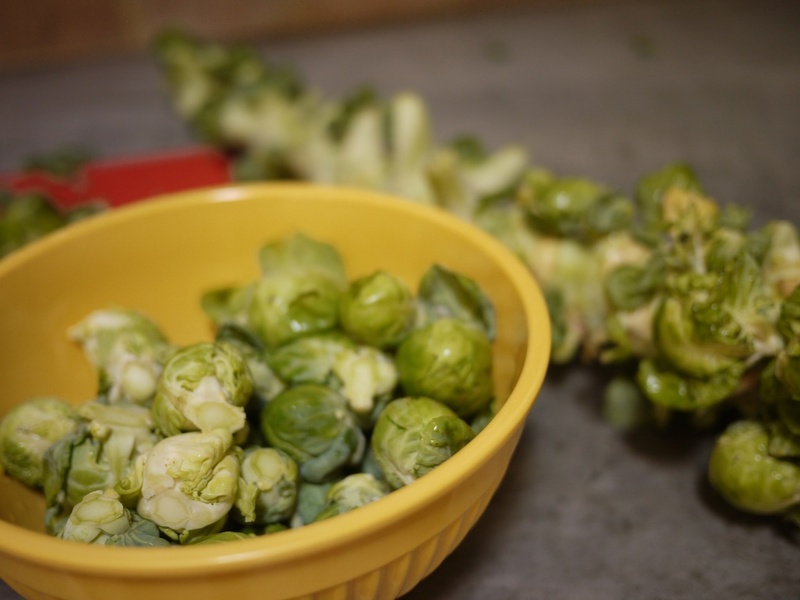 I love the crispy top and had not found a recipe that fit my three basic requirements. When in doubt, I often consult with Martha, Stewart that is! I absolutely love Martha and all of her trusty advice. Her website offers loads of brownie recipes, many of which I had tried. 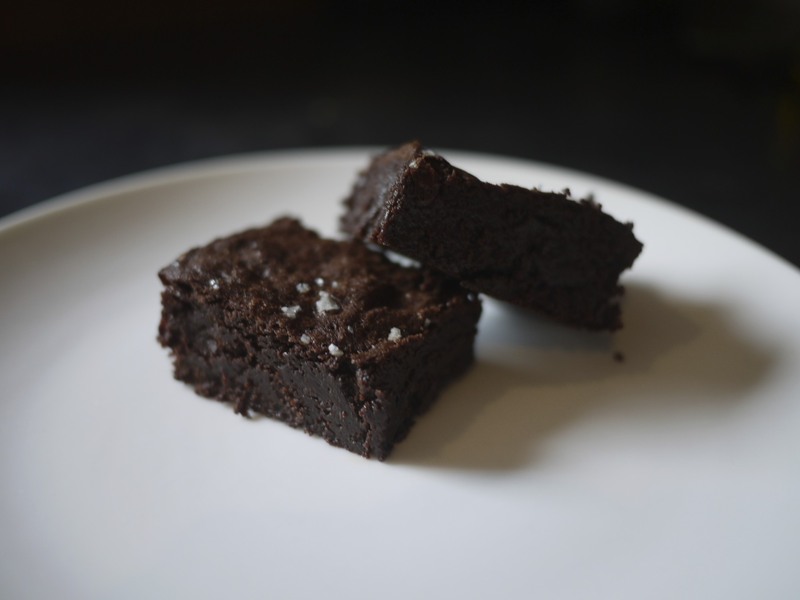 But until now, have found my version of “The Perfect Brownie.” And to top it off, they just so happen to be gluten-free, using cornstarch instead of flour. 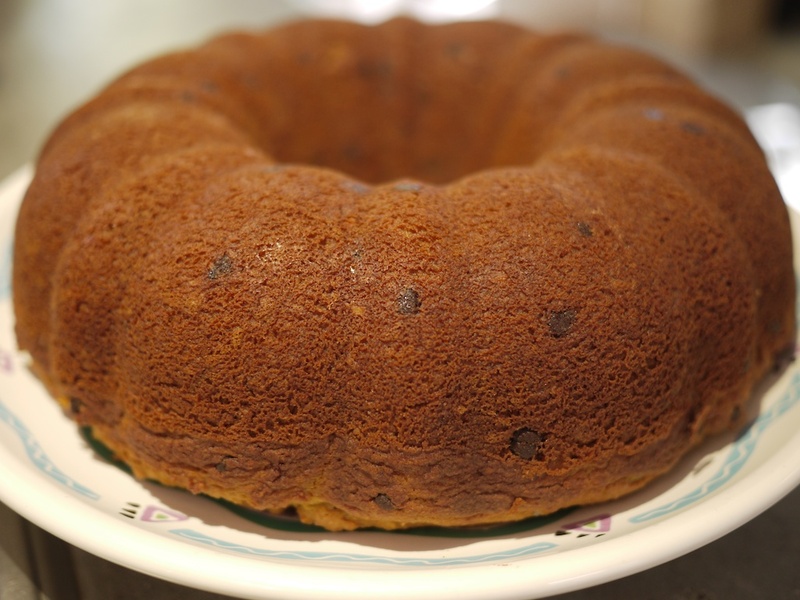 The original recipe uses butter, but the coconut oil was a fabulous substitute. Below is the recipe from Marthastewart.com (with the exception of the coconut oil). I ended up adding 1/4 more cornstarch and 1/4 cup more cocoa powder because the melted chocolate and coconut oil was still rather runny after adding the sugar. They still came out amazing. I would stick to this recipe below, unless you find that your batter is too runny after adding the sugar also. Preheat oven 350 degrees F. Lightly butter an 8-inch square baking pan and line with parchment paper, leaving a 2-inch overhang on all sides. Then butter parchment paper again. First melt together the chocolate chips and coconut oil using a bain marie or double boiler over very low heat. 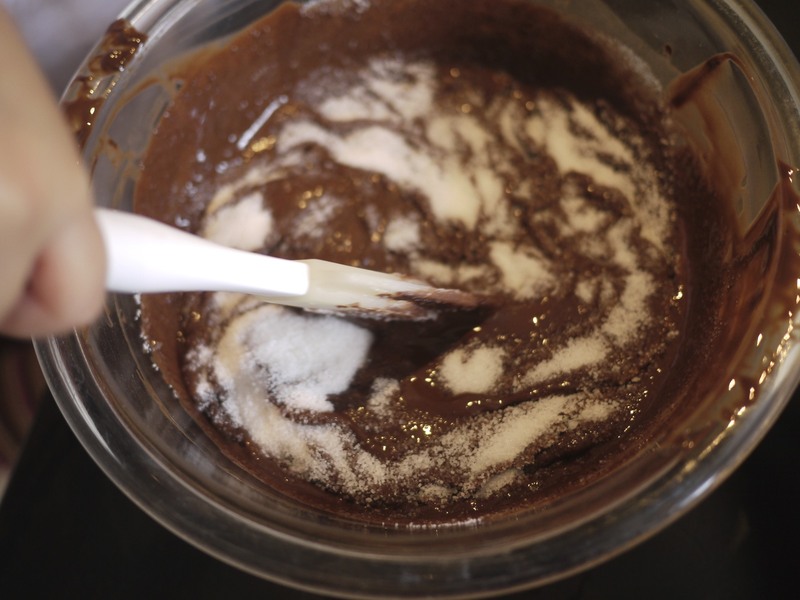 While chocolate is melting, whisk together dry ingredients and set aside. Once chocolate and oil are melted carefully remove from heat onto a heatproof surface and stir in sugar and vanilla. Then add one egg at a time until fully combined. Add dry ingredients and carefully stir until well combined. Pour into prepared pan, smooth the top, sprinkle course sea salt and bake for 35 minutes. Remove from oven and let cool completely. Then using overhang, remove from pan and cut into 16 pieces.